Come stay with us... we have great deals! Call us at 432-213-9119 or send an e-mail for more info. Our Big Spring Texas RV park is ideal for people who would like to rent space at an all bills paid RV park in Texas. We are among the best RV parks in Big Spring TX. If you are looking for an all bills paid RV park in Texas, look no further! Our Big Spring Texas RV park is located in a the West Texas Permian region. 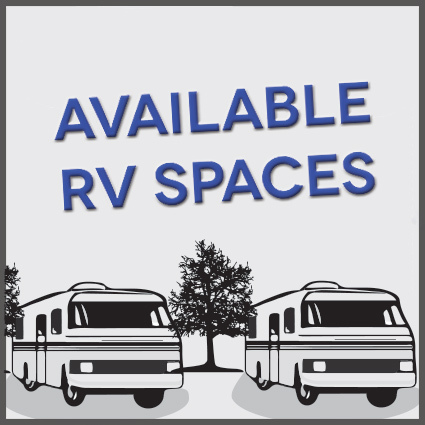 You can rent a space to park your RV and enjoy affordable monthly rates without any extra charges. If you would like to learn more about the spaces that we currently have available in Big Spring, TX, you can access the map that is posted on this website by clicking on the Maps and Info tab at the top of this page. The Big Spring RV Park invites you to call or email us to ask any questions you may have about how our RV park compares to other RV parks in Big Spring TX. We strive to offer exceptional customer service and we hope that you will decide to rent a space from us soon! Call 432-213-9119 to reserve you space at the Big Spring RV Park. Located west of Hwy. 87 and West Leatherwood Road. Electric, Water, Trash, Sewer are provided at the Big Spring RV Park. Call 432-213-9119 and ask us about move-in discounts! Take a look at the RV park grounds and find directions to the RV park. Just north of Interstate 20, west of Hwy 87 at 325 West Leatherwood Rd. Conveniently located a mile north of I-20 on Hwy 87. Go south down Highway 87 into Big Spring to find anything you need. Easy access to I-20, Hwy 87, Hwy 176 and Hwy 350. Located a mile north of I-20, just west of Highway 87 on West Leatherwood Rd. 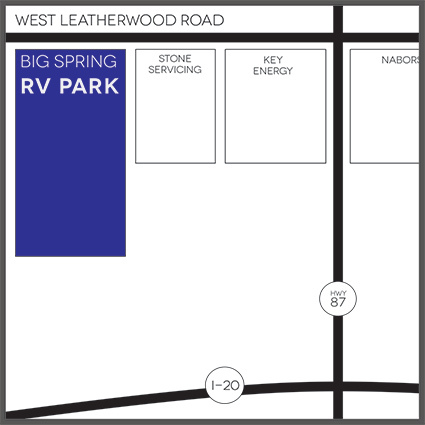 View a map of the Big Spring RV park to find a space to park your RV. Want to contact the Big Spring RV Park? Contact our staff at the Big Spring RV Park in Big Spring, TX. Ready to park your RV and get hooked up? Complete the application and park rules agreement and send a signed copy to customer service. If you prefer to call us to set up your RV space, we are happy to assist you!